As an “old” HPL fan, and a human being, I love your blog! 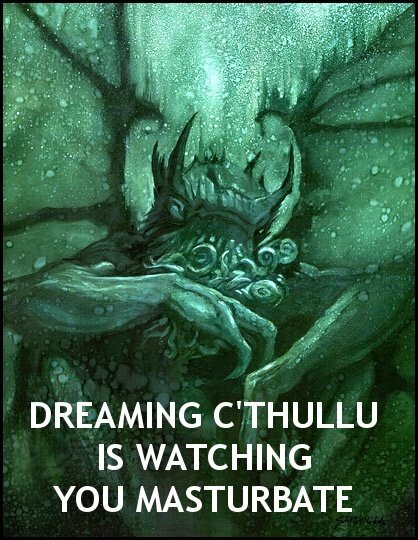 There is no where near enough Shub-Niggurath on the Internets tubes. I came over form C&L (Mike’s Blog Roundup) and I will be back. I think there are 2 ways approaching HPL- taking his philosophy seriously- and die cuz of this (or worse yet, go mad), or taking it humorously (sp? ).